Francine is one of our matriarchs, older and wiser than the younger lambs with limitless patience. Quiet and undemanding, she is always well satisfied by a gentle scratch under her chin and a kind word. One of our best mothers, she is often to be found in charge of not only her lambs, but those of several of her sisters and nieces. Francine grows exceptionally long locks of wool– up to 12″ long though most are about 6-8″. 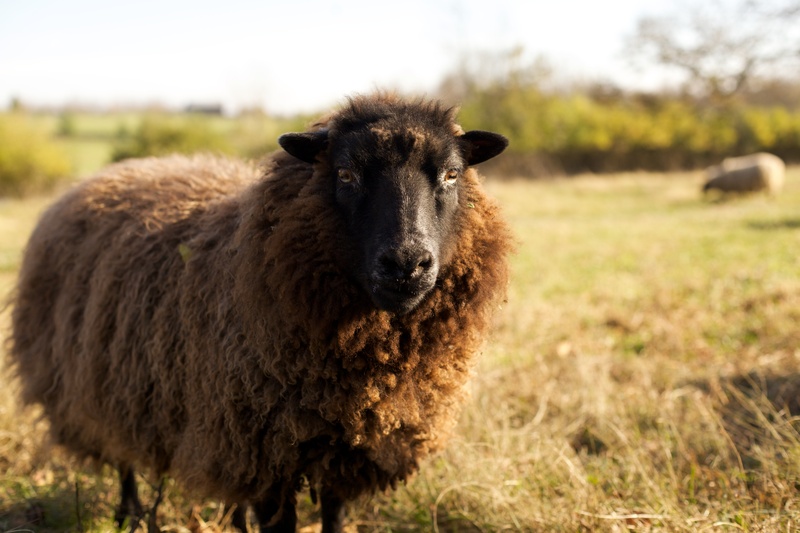 Francine is a traditional double coated Shetland which means that her fleece contains both a soft, downy undercoat and a long more durable outer coat. The long strands of the outer coat protect her from bad weather and provide strength to spun yarn. They also have much more shine than the undercoat. Because of the long, glossy fibers Francine’s wool is pure bliss to spin and an excellent choice for a new spinner. It is so easy to spin a thin, even yarn with wool like this! The yarn is ideal for projects that need to be durable like boot socks and outerwear. Francine is an older sheep and her fleece isn’t as soft as lamb’s wool so its not my first choice for scarves or other items worn directly against the skin. I like to use her wool for braided rugs like these. Francine has one daughter, Leeloo, and one son, Liam. Liam went to live on a different farm where he will get to be one of the lead rams when he grows up.